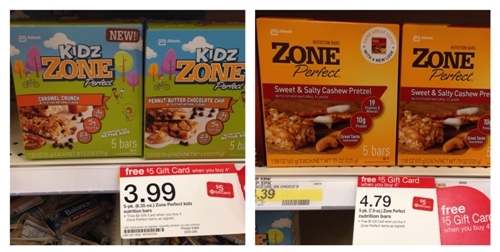 Target is offering a $5 gift card when you buy 4 Zone Perfect products through 3/8. Here are a couple of great deals on Zone Perfect bars. I just found if you havent registered with zone before, you can become a VIP insider through liking facebook and they will send you a link in email to print two $3/2 packs coupon! sweetens the deal by $.50/ box!! Awesome thanks for the heads up for the facebook coupon.